Freesat has announced that its on demand service can now offer ITV Player, having completed a final round of testing on the catch up service today. 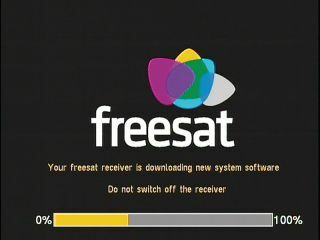 For now, the service is in beta so only Freesat viewers using a Humax Freesat HD or Humax Freesat+ box will be able to make use of it; of course you'll also be needing a satellite dish and broadband of at lease 2Mbps. But, if you fit the bill, all you need to do is hop on over to channel 903 where ITV Player will automatically be added. Once the beta period of indeterminate length ends, Freesat will be "the only TV service" to offer both ITV Player and the BBC's iPlayer. Freesat Managing Director Emma Scott said, "The launch of ITV Player on Freesat is another important landmark for us. It's fantastic that we can now offer viewers the two biggest catch-up TV services, direct to their TVs." The launch of ITV Player on Freesat is over a year late, however; both companies had announced that the service would launch in the first half of 2010. ITV Player will gradually be added to other Freesat receivers over the coming months.